Over the last few years we have been building our herd numbers. We have reached our goal of calving down a total of 300 heifers and cows. We calve heifers at 2 years old and have a strict culling policy. Due to this we feel we have built up a strong herd and are selecting bulls and heifers more strictly now to increase productivity. The Stabiliser Cattle Company have invested in Feed Efficiency research and are beginning to look more closely at Mature Cow Size, we believe these are two very important breed traits and aim to breed cows that have good feed efficiency, high growth rates alongside low mature cow size. The Stabiliser allows us to maintain a closed herd while still retaining some hybrid vigour, producing low maintenance cows that are easy to handle and make maximum use of forage. We have a pure and cross breeding program producing Bulls and Heifers for our own use and for sale. 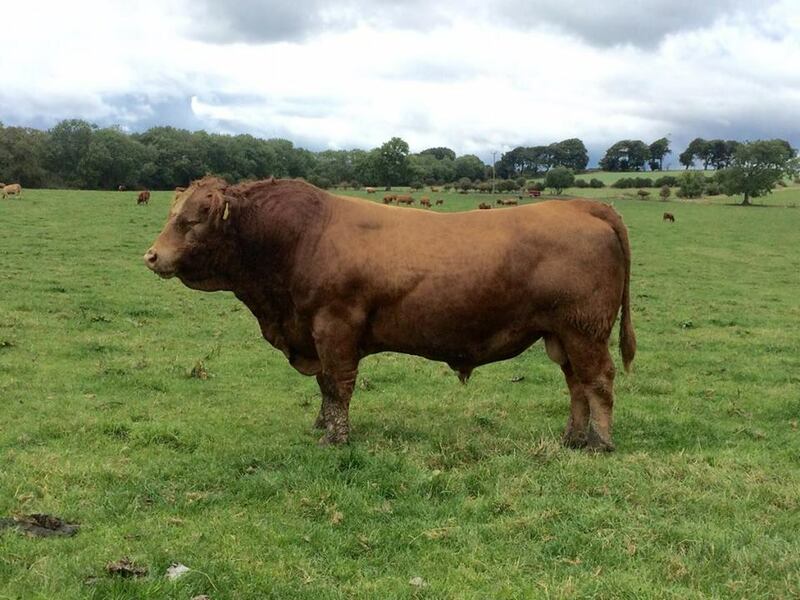 Stock Bulls – Crugeran Nebo was purchased 5 years ago and has bred very well for us, producing a strong male line through the herd. Also bought 5 years ago, Birdsall Naim is an important stock bull at Rugley, he has produced excellent heifers that have continued to improve our herd. Please find breeding information and EBVs for both bulls below. Rugley Reggie is a son of Birdsall Naim, we have high hopes for him within our herd, with high growth rates, low mature cow size and excellent feed efficiency we are very pleased with him.